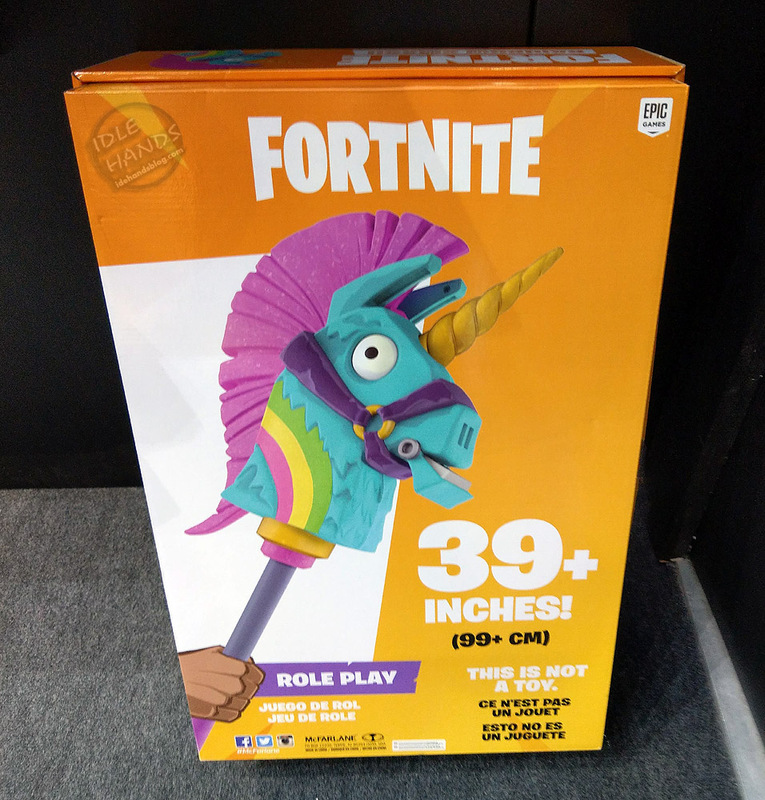 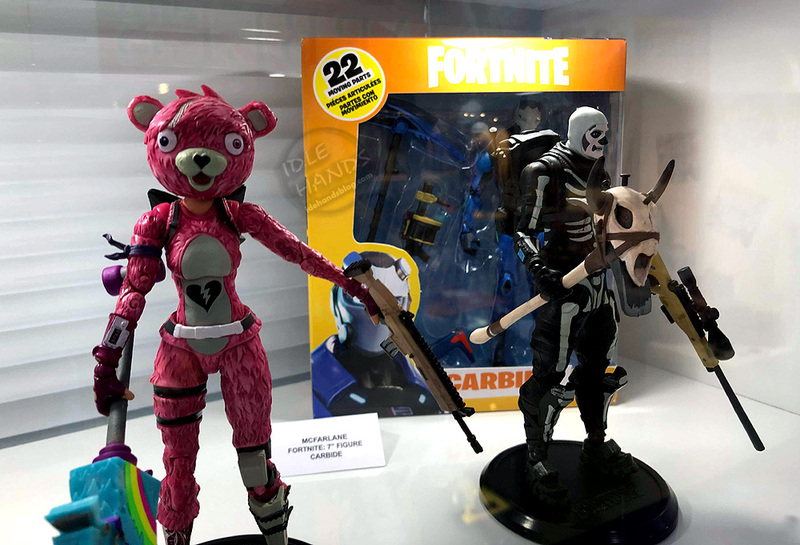 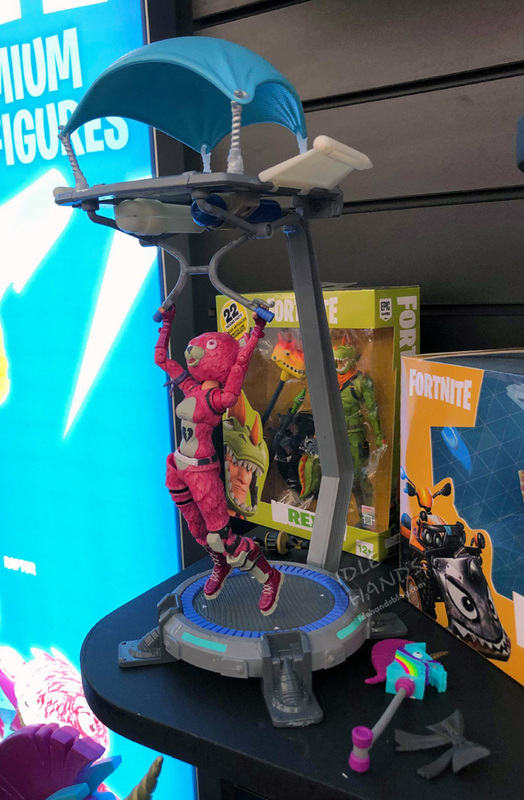 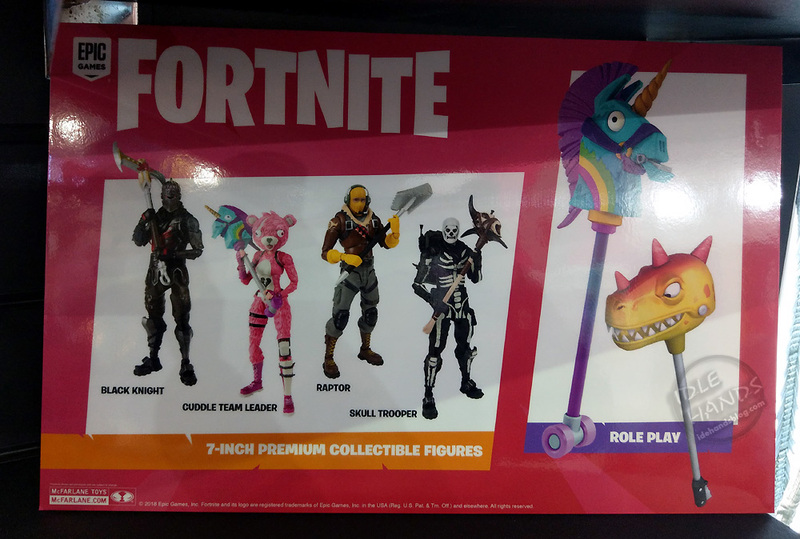 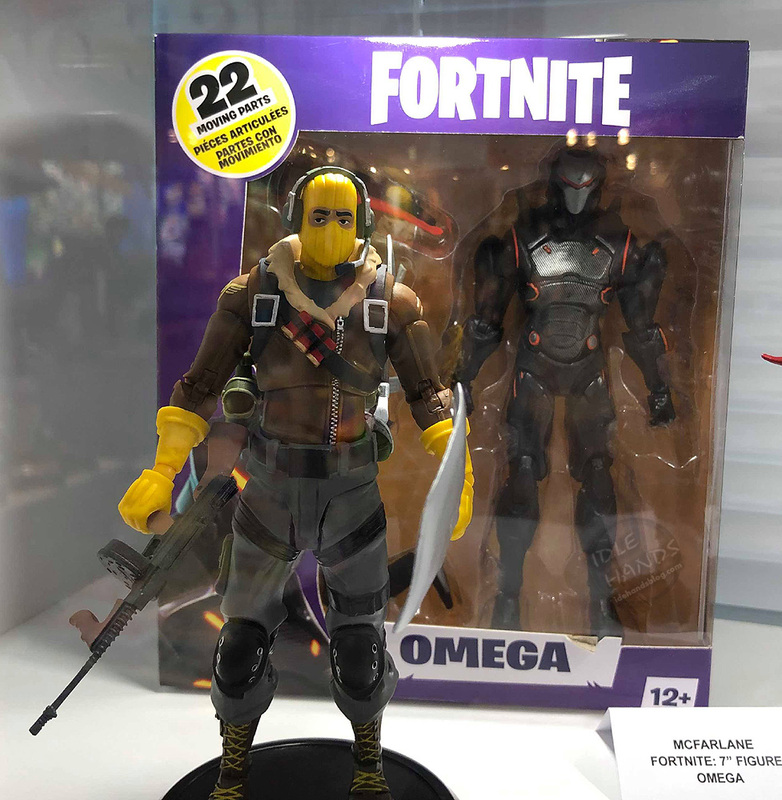 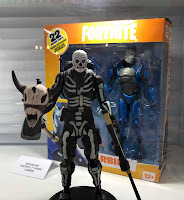 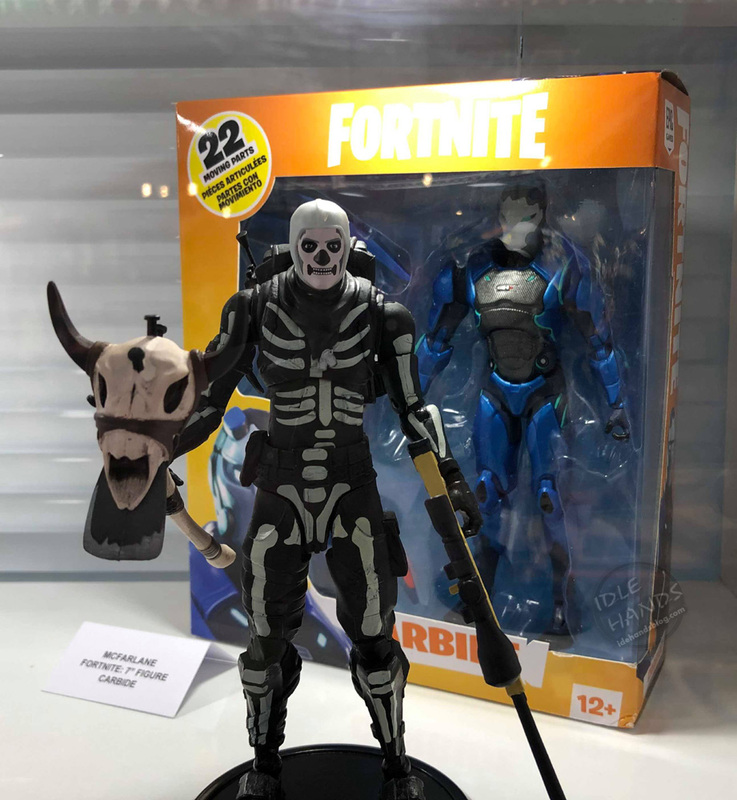 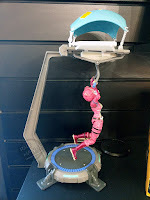 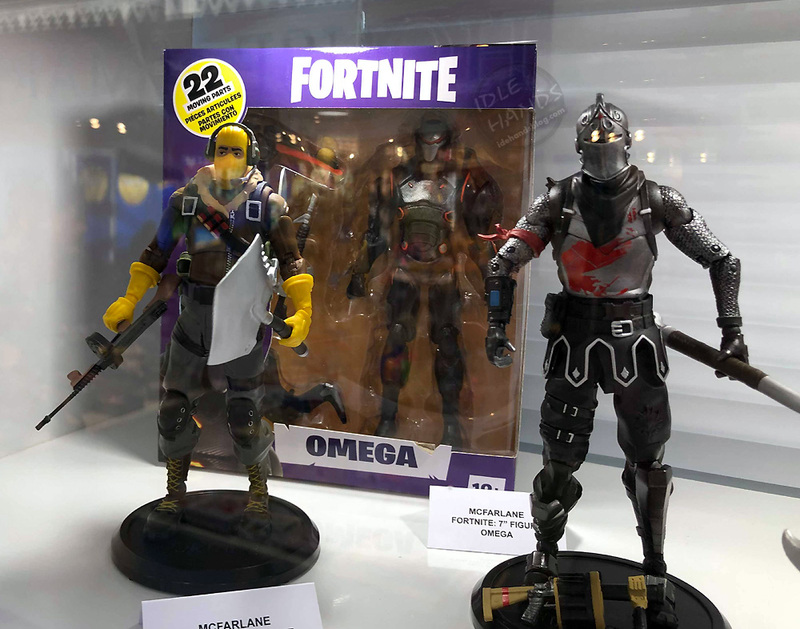 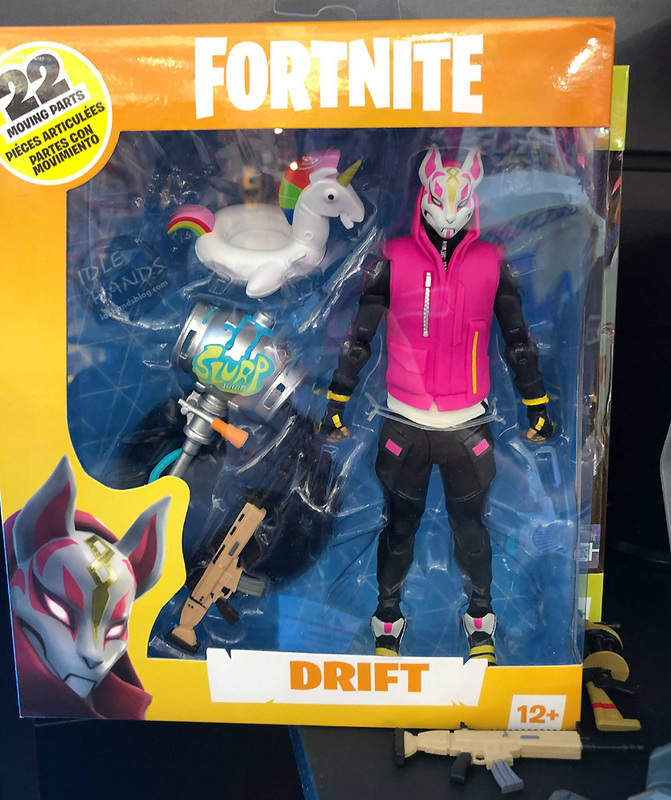 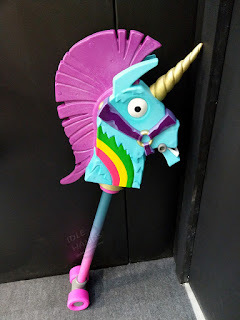 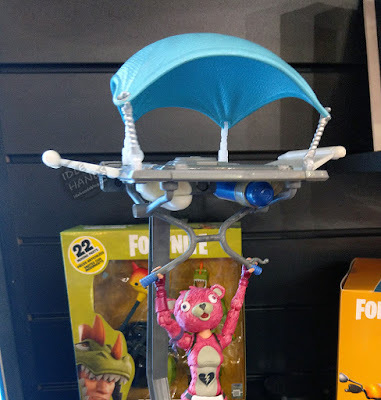 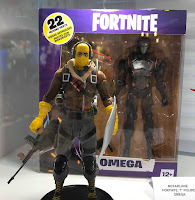 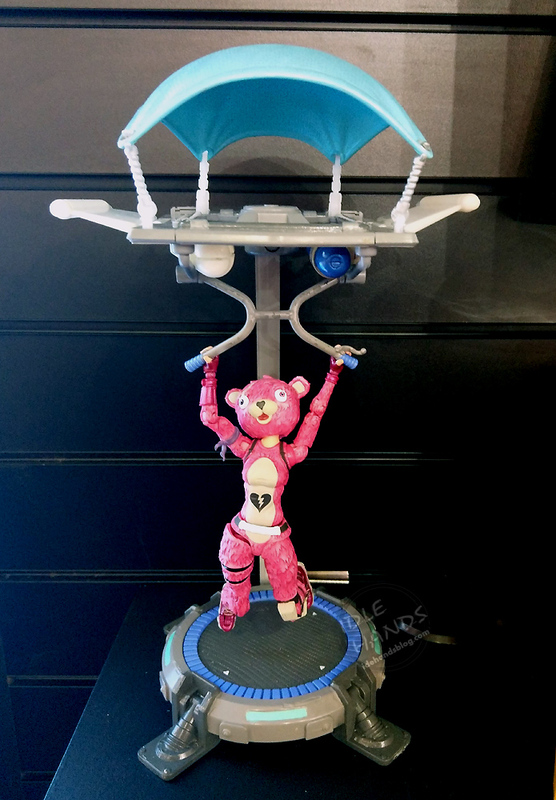 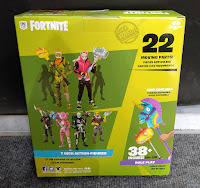 McFarlane's current lineup of action figures includes Cuddle Team Leader, Black Knight, Raptor and Skull Trooper along with a role play, life-size Rainbow Smash Pickaxe. 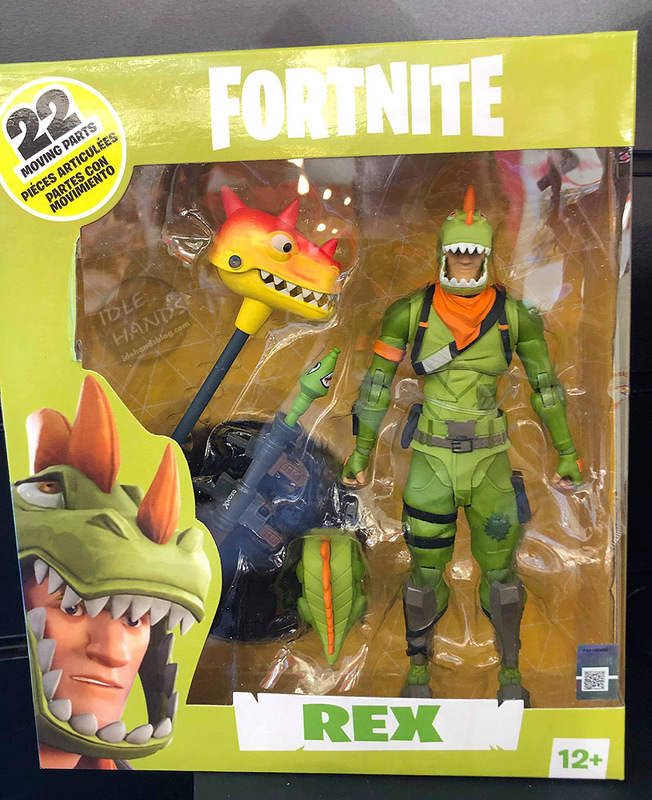 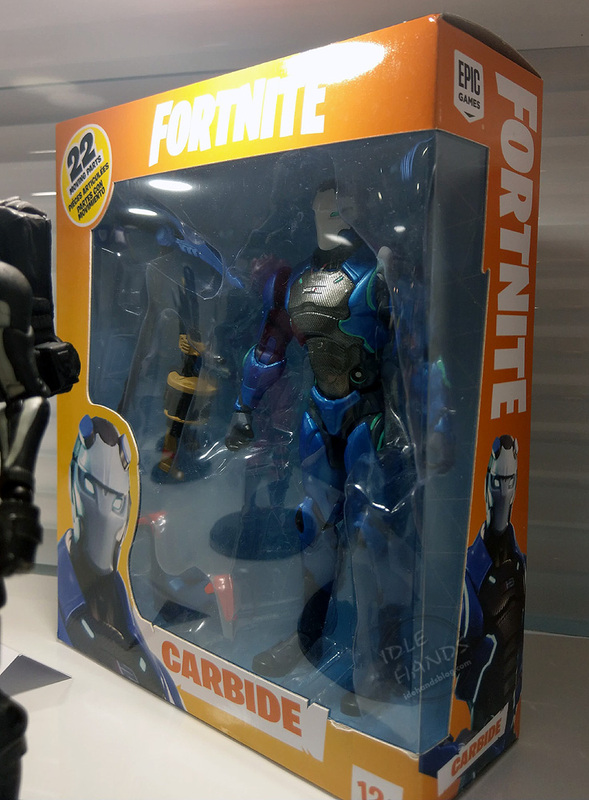 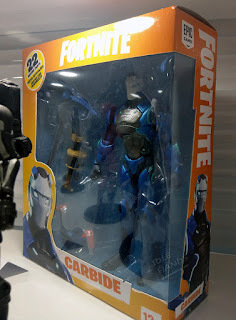 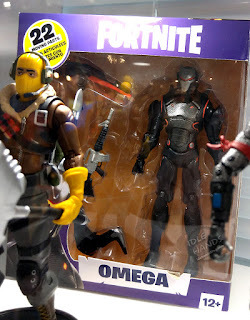 Joining the troops are Carbide, Omega, Drift and Rex, and a role play Bite Mark Harvesting Tool. 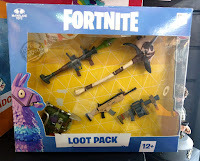 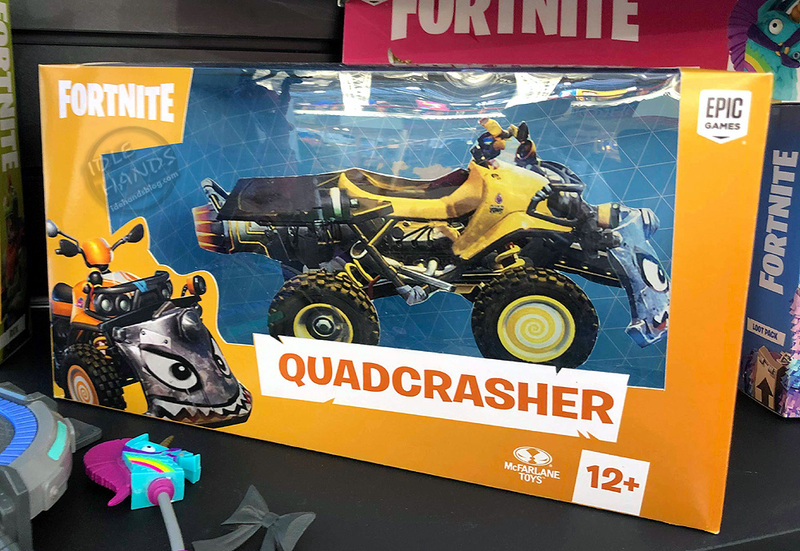 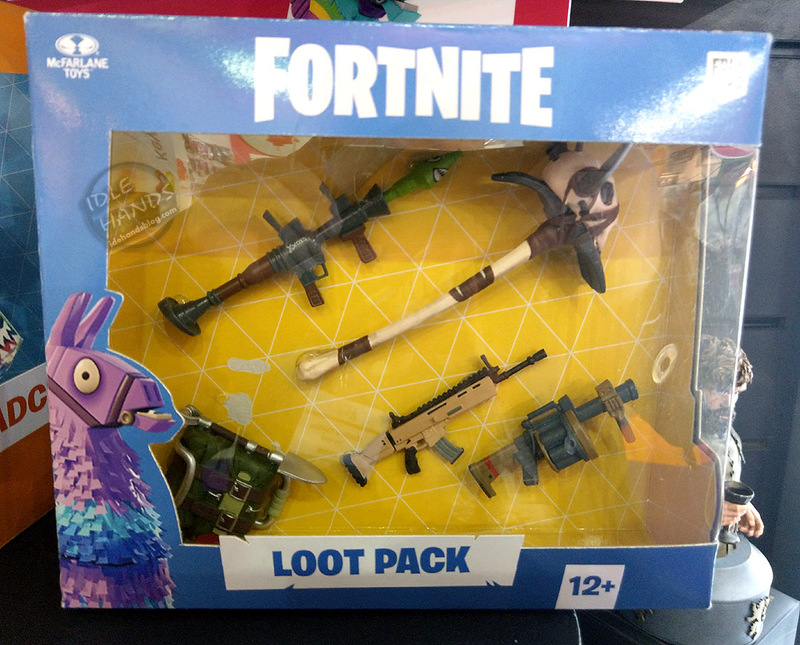 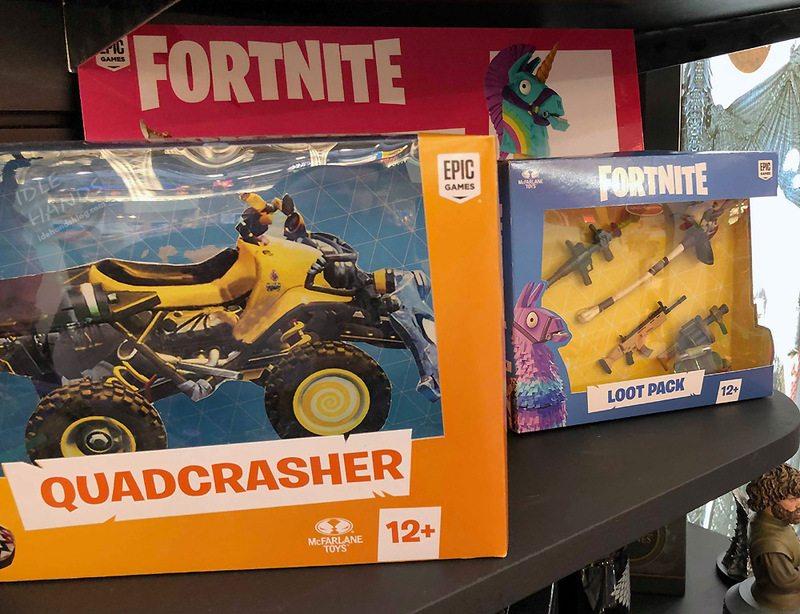 Now your McFarlane action figures can gear up properly and swoop into battle with a glider and jump pad pack, a Loot Pack with 5 items and a Quadcrasher vehicle.